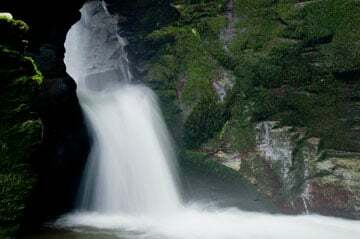 Waterfall One – St Nectans Kieve At this sacred site of Saint Nectan’s Glen, the river Trevillet has carved its way through Late Devonian slate, created a magnificent 60 foot waterfall and punched a hole through the original kieve (basin). Waterfall two is located after the shallow pool from the main waterfall. It flows from the Kieve down into the stream. Waterfall three is our newly discovered hidden gem. We have opened up a brand new walkway for 2016 allowing access to the waterfall which was previously no accessible to the public. 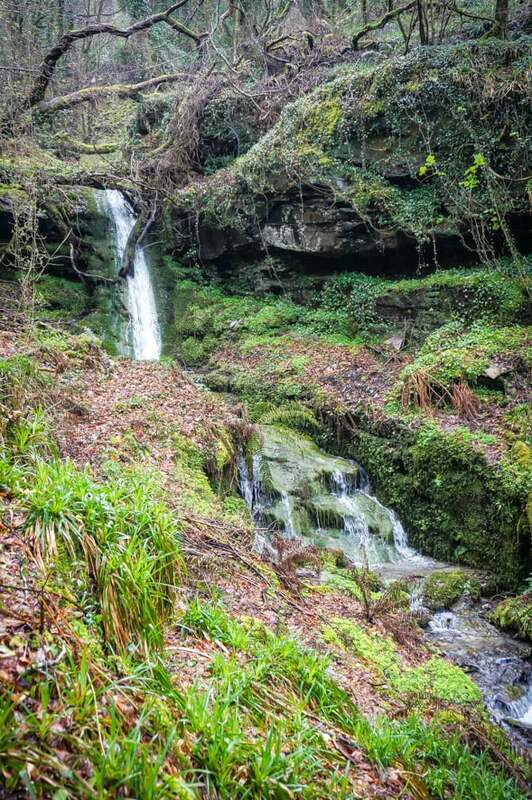 St Nectan’s Glen is an area of outstanding natural beauty. 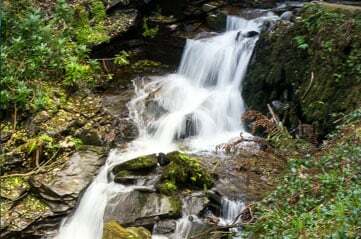 Walk to the Waterfall & Hermitage through an ancient woodland with ivy clad trees and along the banks of the River Trevillet as it sparkles and gurgles busily on it’s journey to the sea. 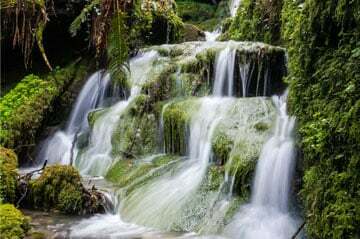 Finally wander down to the Waterfall and experience one of Cornwall’s hidden treasures, one of natures beauties unspoilt by man. Whether you’re. on a pilgrimage or a day out the reward is in natures embrace. St Nectans Glen is a place where animals and birds play amid a mysticism of fairies, piskies* and spirits, serenaded by the wonderful sound of bird song. The area has been appointed a Site of Special Scientific Interest (SSSI) due to rare specimens of plants.